Kenya is seeking for fund from China to complete the third phase of the standard gauge railway. 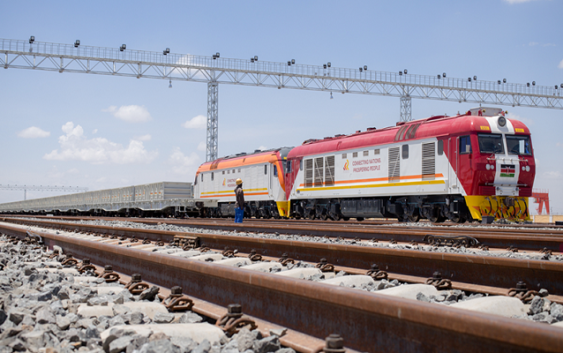 The negotiating is a loan worth Sh 370 billion that will ensure passengers, goods and equipment are secure during their journey from Mombasa to Malaba in Busia County. The operation and security of the equipment is vital as the trains moving from Mombasa to western Kenya needs to be secure from terrorists and other challenges according to Mahinga. Meanwhile, Kenyans, the International Monetary Fund and experts has raised concern over the repayment status of the existing loans. They are unhappy about the terms of repayment of the loans. This has brought debate following revelations a few months ago that the port of Mombasa could be handed over to the Chinese if Kenya defaults on the loans. More Kenyans are employed at the management and subordinate levels of the project. This is more than foreigners according to China Road and Bridge Corporation external communications officer Zhao Yang.